Located in Lloret de Mar, a key environment for tourism, sport and leisure. Lloret de Mar has a privileged location in the South of the Costa Brava. The Olympic pool is located in the area surrounded by a wide range of accommodation and leisure and sports of Lloret de Mar, in the heart of the population and only 800m from the beach. One of its advantages is the possibility of all movements on foot, in a way that saves time and unnecessary costs, making the sports stay the true protagonist. 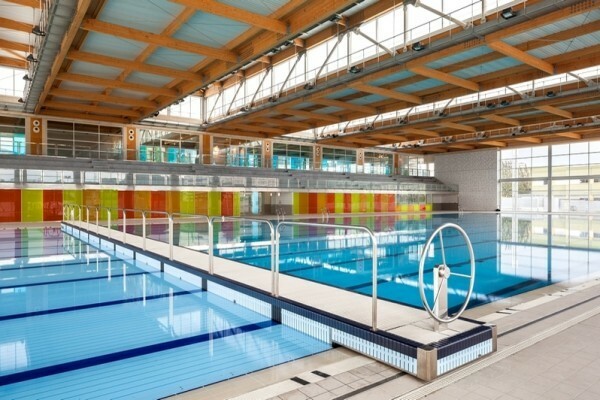 The swimming pool, in addition to the Olympic swimming pool also has a wide range of services. 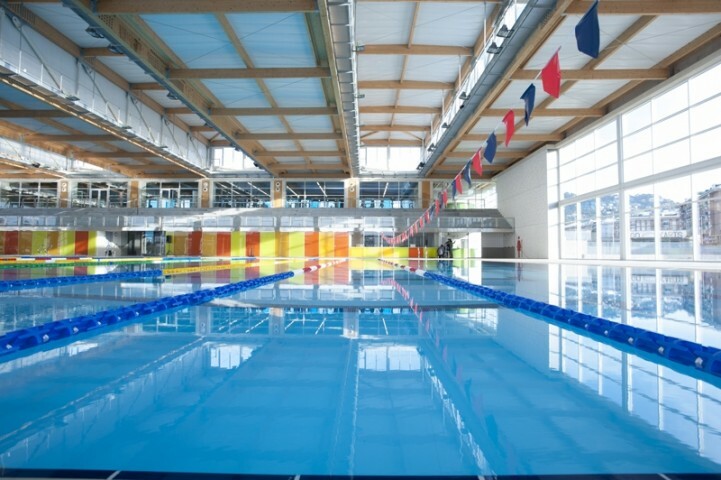 The Olympic swimming pool can accommodate almost all sports water (Swimming, synchronised swimming, water polo, triathlon, etc … ) for competitions and training for sports stays. It also boasts a fitness room where perform cardiovascular and muscle training in fixed stations and free weight. A new funtional training room of 130m2. In two activities rooms, multitude of choreographed activities fun and enjoyable working the cardiorespiratory, muscular strength or elasticity can be. The cycling room is specially designed to exercise on a stationary bike in legs and resistance force. The Olympic-size pool aims to offer a global service so that athletes can maintain their workout routines during their stay. 430 m stations Matrix cardiovascular, muscle and free weight fitness room. Fully-accessible facility for persons of reduced mobility.